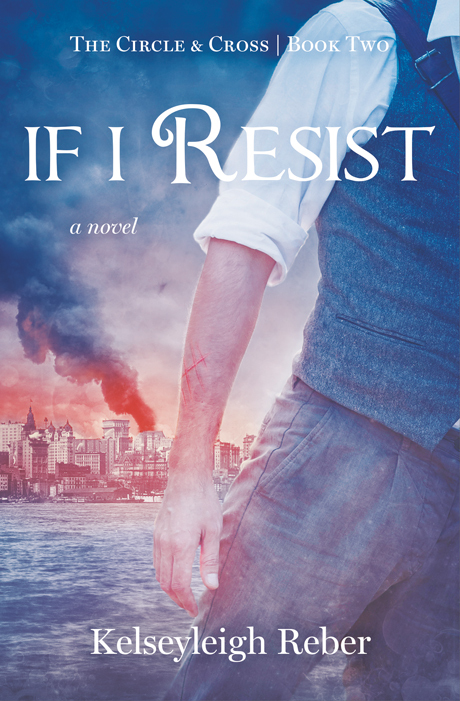 We’re pleased to announce that If I Resist, the second book in Kelseyleigh Reber’s exciting Circle and Cross Trilogy, is officially available! Grab a paperback or ebook copy from Amazon or Barnes & Noble and continue Elvira Hamilton’s adventure in New York City. If you haven’t yet visited the Circle & Cross Trilogy, it’s easy to get started. All editions of If I Fall (Book 1) are now on sale at Amazon. And if you order the paperback, you’ll get a Kindle copy for free! For more info, visit our If I Resist page here. Elvira Hamilton has escaped from England, but the war between the Marked and the Radicals has followed her to America. Arriving in the slums of New York City in 1901, she and her sister are thrust into the midst of an even more dangerous conflict than the one they left behind. Marked are openly persecuted, stripped of their rights, and attacked in the streets. Radical spies lurk everywhere. And whispers of secret prisons, where unspeakable acts take place, pass through the city. Elvira and Dela are taken in by the Resistance, an underground group of Marked with plans to fight back, though their true motives are unclear. Meanwhile, Adam Laurence reunites with his father and brother, who seek to rally him against the Marked. Elvira and Adam struggle separately as their journeys slowly converge, each drawing closer to the other with every passing moment. And all the while, tensions simmer just beneath the surface, threatening to burst into open war.